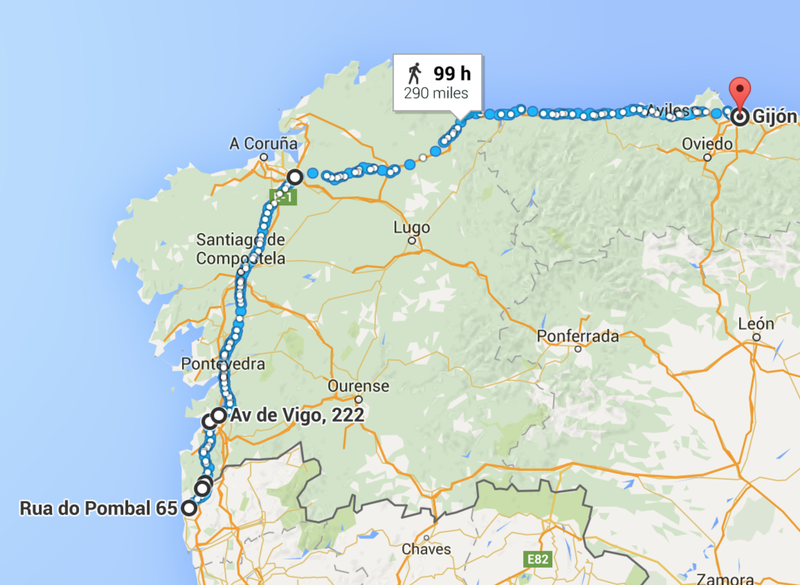 The document below can be used to see the exact route that I'll be running from Lisbon, Portugal to Istanbul, Turkey. I'll be starting the run across Europe at 17 stone and 10.5 pounds. That's 112.72 kg. It's no consolation that this is the lighest that I've started any of the 4 segments of the run around the world done so far. The heaviest was a whopping 18 stone and 5 pound (117.5 kg) before the start of the run across the USA. I'm guessing that I'll finish in Istanbul weighing in at around 12 stone (76.2 kg) and 10% body fat. I'll be burning over 6000 calories a day for the next 100 days. Extreme weight loss is inevitable. Watch this space on rest day 1 next week for details of the next weigh in. 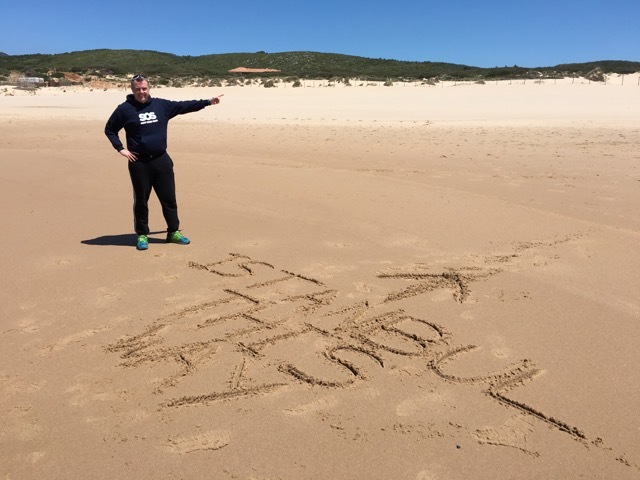 The run across Europe starts at 0700 BST on Guincho Beach on Sunday 1st May 2016. Any questions or queries can be emailed to sponsorship@rungeordierun.com. First up on support team duties are Jimmy and Donna. 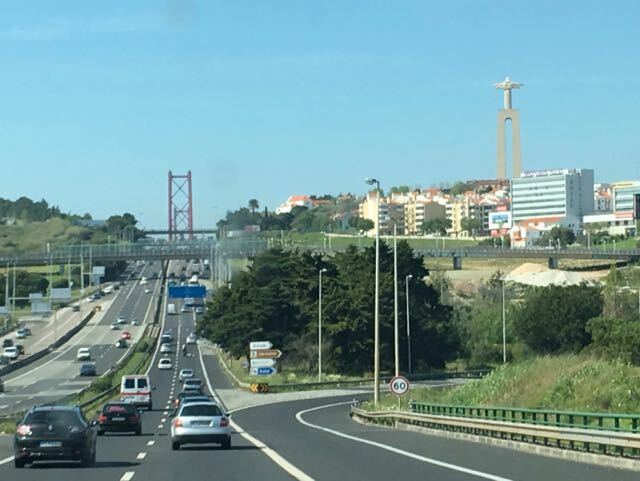 They are on the team for the first 7 days of the run and are covering the route through Portugal up to the border with Spain near Valença. I got chatting to Claudia who works at the campsite where we're staying in Guincho Beach. It turns out that she knows all about Sir Bobby Robson. It has been a very busy few hours, days, weeks and months in the build up to the run across Europe. In fact, you could easily add “years” to that sentence. I wouldn’t have it any other way though. No way. We picked the RV motorhome up 2 weeks ago. Thank you to my sponsor FFG for storing it securely at their Washington premises until departure time. I welcomed 2 very special guests aboard the RV for a closer look last week: Lady Elsie Robson and World Cup winning legend Jack Charlton. Both have been very supportive of the run across Europe recently and it was fantastic, if a little surreal, to show them where the support team and I will be living in Europe for over 100 days. As an added bonus, Jack brought a load of Northumberland Tea for us to use in Europe. I’m very much looking forward to a cup at the end of a hard day of running. I know the support team appreciated this gesture too. You can read more about the visit on the Chronicle website. I took time out at the weekend to watch Newcastle United play for the final time this season. The game against Liverpool ended in a draw but was a great match to watch. It’s a pity (or not according to some people) that I’ll miss the final 3 games this season. I really don’t like missing Newcastle matches. This season, I will have managed to get to all bar 3 at home and have been to Swansea, Manchester United, Everton, Chelsea, Leciester, Norwich as well as Liverpool. That’s not bad going by my standards. I’ll be back in time for the start of the 2016/17 Premier League season but not the Championship season. Newcastle United - You know what you need to do. Sunday was spent working on the RV. Every nook and cranny in the RV is being used to good effect. It is full of porridge, Cherry Active, medical supplies, running kit and everything else that will be needed in Europe. I'll be speaking more about my use of Cherry Active for recovery and Beet Active to delay the onset of fatigue in the coming weeks. Regular readers will remember that Cherry Active helped me to run across the USA and Australia. This is the 5th year that I've been using the product. More on that soon. There were some media duties to perform on Monday morning before we departed for Europe later that day. 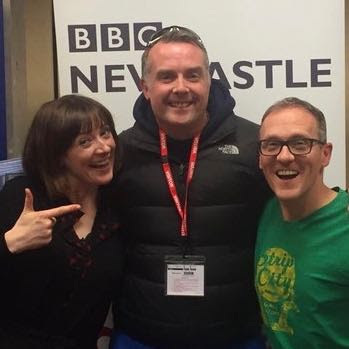 I called in to BBC Newcastle for an appearance on Alfie Joey and Charlie Charlton’s breakfast show. They were both very supportive during the run across Australia and it's great to have that again. I started talking on the show with only a few minutes to spare before the 0830 news. I was extremely grateful to them both for holding back the news for over 5 minutes. I’m looking forward to talking to them again at various points in Europe. It was then time for the official send off from the Life Brigade Watch House in Tynemouth. There were several photographers in attendance and I gave interviews to Emily Reader from Metro Radio and Andy Sixsmith from Made in Tyne and Wear. Special thanks go to Barry Peels whose photos subsequently appeared in many papers and websites. I’m looking forward to talking to Andy Sixsmith again during various points of the run across Europe. The item below was recorded a few weeks ago in the RV. There was just enough time to show the directors of my main sponsor, SOS group, around the RV. The picture below shows Andrew, George, John and myself having a laugh together. 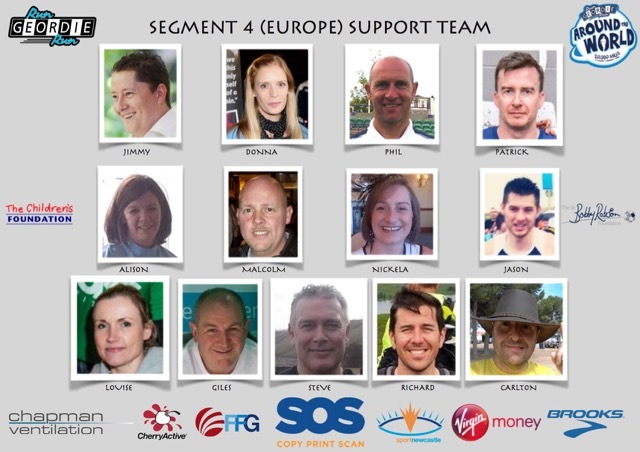 It’s thanks to SOS Group that the run across Europe is a reality. Their financial support has helped towards the cost of RV hire, running kit, fuel and insurance. 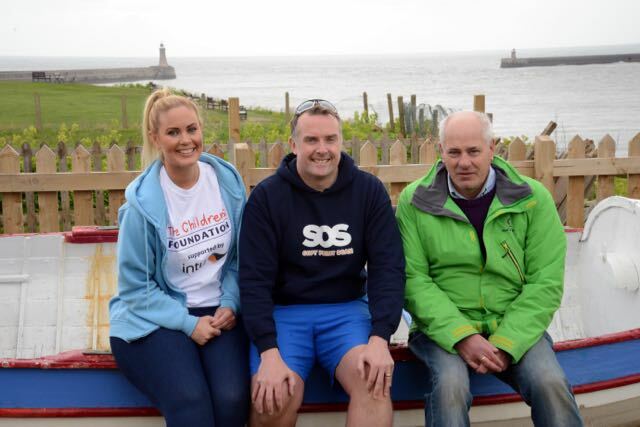 The Sir Bobby Robson Foundation and The Children's Foundation also benefit from SOS Group’s sponsorship. A “charitable fund” is part of the deal. This amount could easily go directly to the 2 charities. We haven’t done that. 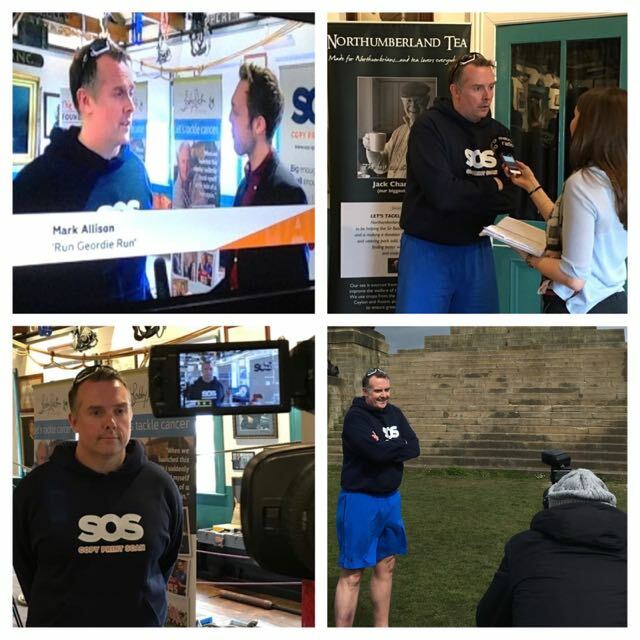 Instead, we use the money from SOS group to “grow” a bigger total for the 2 charities through initiatives such as t-shirt sales, raffle prizes for the ball and Team Run Geordie Run kit for Great North Runners. A £5 t-shirt (like the Europe one below) can yield £12 - £15 for the charities (Any postage paid goes to the 2 charities too thanks to FFG posting the items). 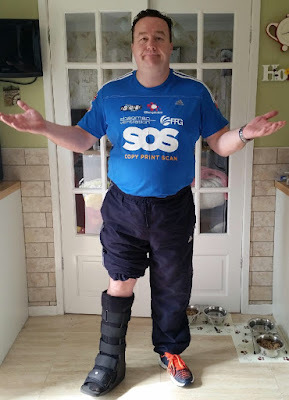 So an overseas t-shirt costing £5 to produce can see as much as £20 raised for the 2 charities. 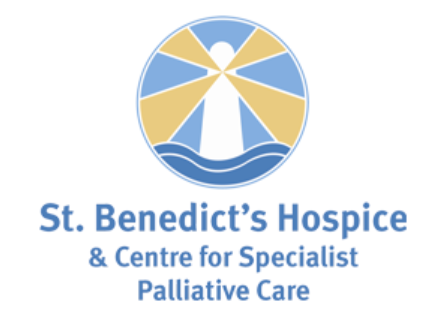 A £300 raffle prize saw £2000 raised at the Around The World Ball last year. 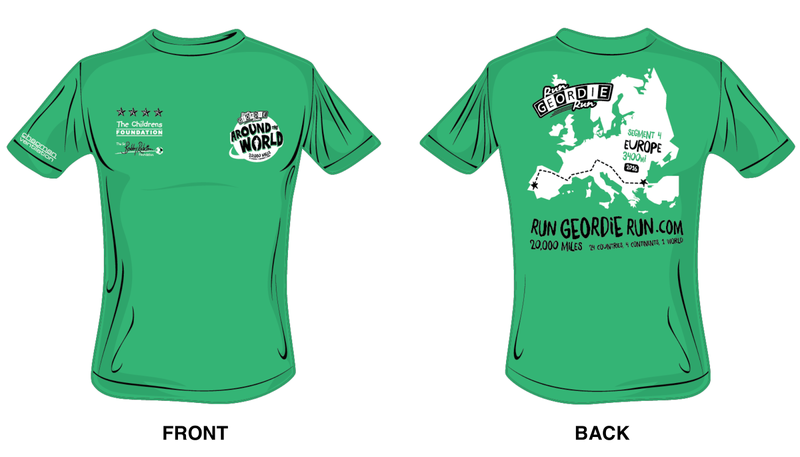 £150 spent on Team Run Geordie Run running vests attracted enough runners to raise £2300 for The Children's Foundation. £1000 spent on some entry fees and Team Run Geordie Run t-shirts means that we are on target to raise over £6000 this year. I’m sure you’ll agree that it’s very good use of the charitable fund. On top of that, SOS have made some huge donations on the back of collections and raffles at staff parties and the like. 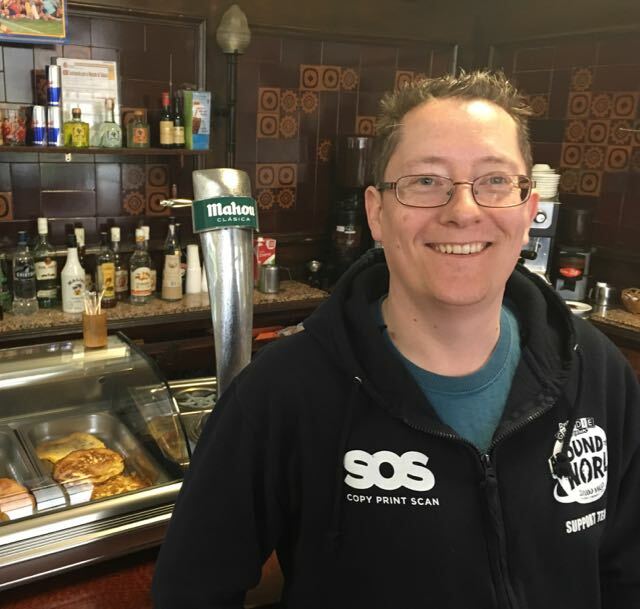 SOS Group have kitted the 13 members of the support team out with branded hoodies and t-shirts. Pictured below with me at the send off event are Donna, Giles, Jason, Jimmy, Malcolm and Nickela. Along with the other sponsors, which I’ll talk about over the coming blog posts, I’m extremely fortunate to have SOS in my corner. I know that the 2 charities share that feeling too. Libby from The Children's Foundation and Sir Bobby’s son Andrew (pictured below) had some final words of encouragement before we departed. If there is one thing that I want to do in Europe, it’s to make the 2 charities proud. I told Libby, Andrew and Times journalist and Sir Bobby Robson Foundation patron George Caulkin, as much on Monday. 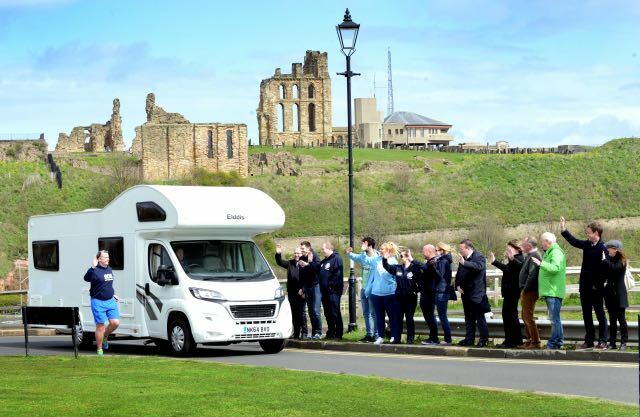 Jimmy and I drove away from Tynemouth just before lunchtime with the various well wishers waving us off. We made it as far as the Midlands that afternoon before arriving at Portsmouth Ferry Terminal on Tuesday afternoon. 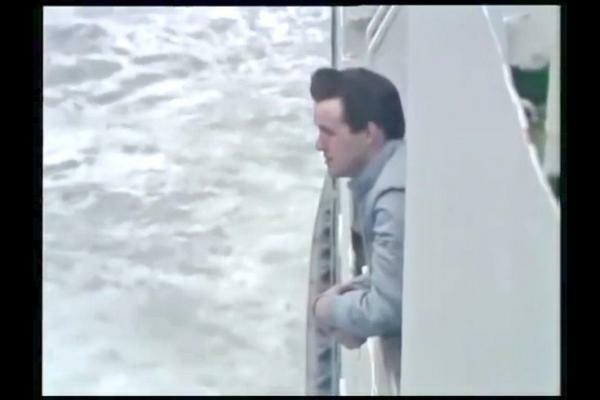 With the RV safe in the belly of the Britanny Ferry’s flagship Pont Aven we watched the coastline of England disappear. The article below appeared on nufc.com. 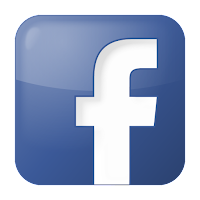 The website, having publicised my runs since 2001, have been responsible for attracting 10’s of thousands of pounds of charity donations. nufc.com have a massive reach and their continued support is hugely appreciated. I was secretly pleased that they picked up on the subtle reference to Auf Wiedersehen Pet. 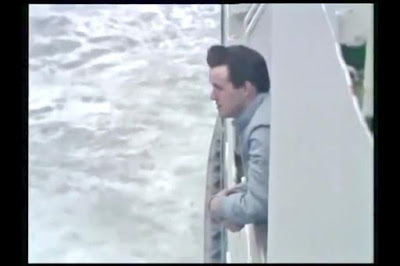 Neville is pictured below also en-route to Europe. Coincidentally, I have the DVDs with me to watch in the RV on rest days. We made it to Santander with only a rough hour of sea travel to report out of the 24 it took us to arrive. The rough patch happened just after midnight and I was convinced that we had capsized at one point! The overnight stop on Wednesday was Palencia in what was essentially a car park for RVs. It was right in the middle of the town but really quiet. 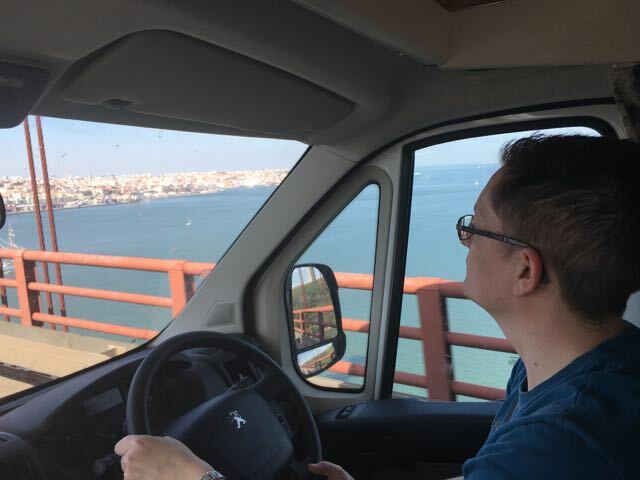 We travelled down to Lisbon on Thursday. Jimmy continued to do all the driving which meant I was able to get through a lot of work including finalising the social media plan, answering many emails and finishing the weather and progress graphics that will be seen right across all my social media channels. We stopped briefly south of Valladolid for a bite to eat. This is where I discovered that Jimmy is a master of many different foreign languages. Unfortunately, he used them all in the same sentence much to the amusement of the cantina. We all burst out laughing at his attempt to order a ham toastie. 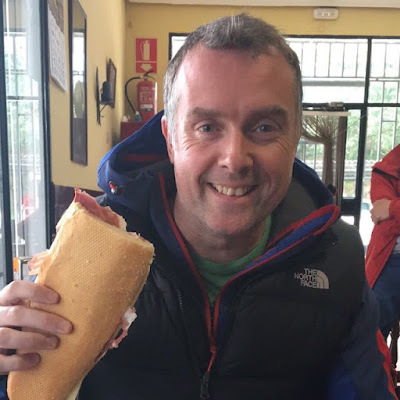 It wasn't all bad news as the snack that came out was a massive ham and cheese baguette. Much better than the small toastie that I thought I was getting. I later found out that it was called a Bocadillo. The arrival into Lisbon on Thursday afternoon was very dramatic. 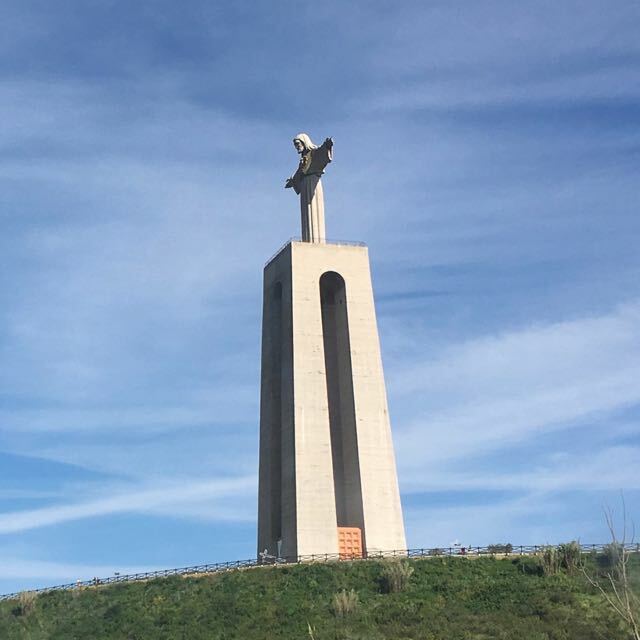 We crossed the 25 de Abril Bridge into the city passing the Christ The King statue. I'd passed the Angel of the North some 4 days earlier. How fitting that we were greeted by a similar monument here. We arrived at the Camp Site on Thursday in glorious sunshine with temperatures at a very pleasant 20 Celsius. Well done Jimmy for getting us this far safely and for some top banter on the way down. As I type this blog, Donna is on her way to join the support team. She has just sent the following picture of the Pyrenees. I'll be running up there in 3 weeks time. There are just 2 days to go before the start of the 3400 mile (5440 km), 100 day run across Europe from Lisbon to Istanbul. I'll talk more about the start line at Guincho Beach on the blog tomorrow. In the meantime, thank you to everyone who has made a donation. The overall charity fund is almost at a quarter of a million pounds. Your generosity is hugely appreciated. If you would like to make a donation then please click the image below to be taken to my Virgin Money Giving page. 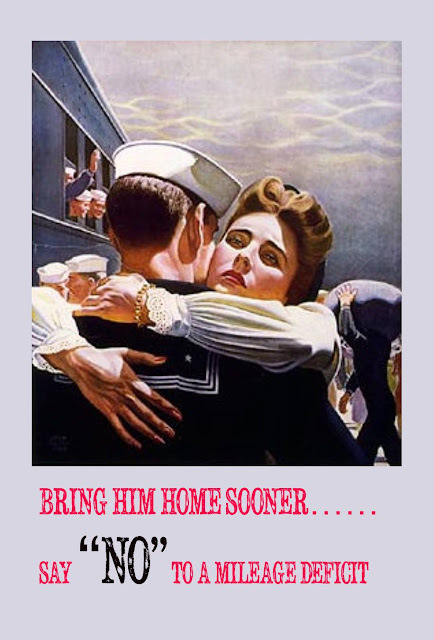 The images below are just a sample of World War II style posters that will be displayed in various places in the RV motorhome. While it's a slightly tongue in cheek approach, the posters will serve as a reminder of many key points to the support team and myself. Particular attention is being given to safeguarding against being behind schedule. i.e. the "mileage deficit". Losing miles will lead to huge problems logistically. The issue is that the support team plan has a lot of "moving parts". In real terms, this means a lot of support team changes. People coming and going from specific airports at specific times means there is very little margin for error. There has always been a mileage deficit in any run that I've ever done. Somehow, in the USA I clawed back 5 days of running during the last 3 weeks to finish on time in Coney Island. I was having to run 40 - 45 miles consistently when the original requirement was just to do 31 in the USA. In Australia, the mileage deficit was massive and the damage to my feet, my mental state and the size of the support team meant that it couldn't be clawed back. Given the difficulties that we faced it was a miracle that I was able to reach the finish line at Shellharbour at all. It still remains the hardest fought and greatest victory to date. 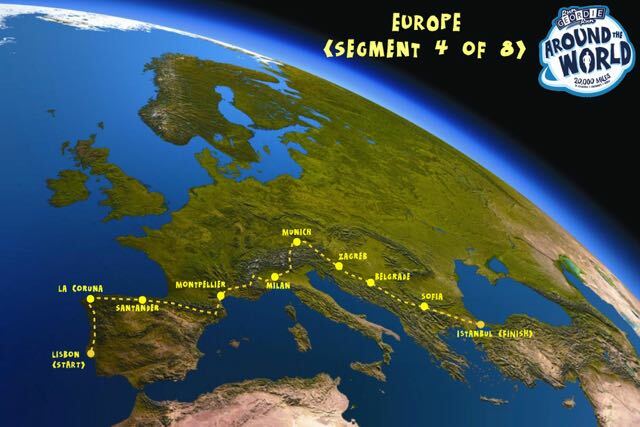 If I get to the finish line in Europe on time or, indeed, at all, I have no doubt that the 3400 miles from Lisbon to Istanbul will eclipse the previous 3 segments of the run around the world. Eating the correct types of foods is always important. The main problem that I had during the run across the USA and Australia was eating enough food. Ironically, the opposite problem that I have in regular life! 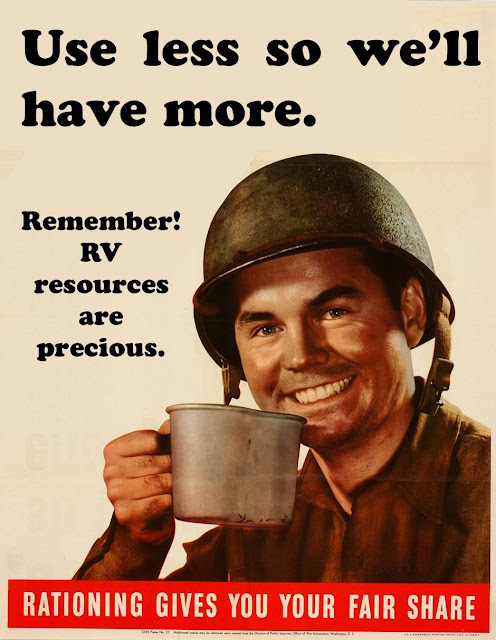 The poster below is a reminder to all that fuel and water on the RV is a precious commodity. Every drop of water that comes out of the taps or shower must be replaced. To do that costs time and fuel to get to a place where the water can be filled up. We must be very mindful of this as a team. I have a £7 per day food budget. Again, every scrap of food must be used very wisely. Any leftovers must be used where possible. That is a budget for a person who will be burning over 6000 calories per day. I'll publish the other posters over the coming weeks across my social media pages. 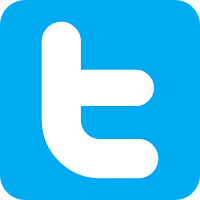 You can get to my Twitter, Instagram or Facebook pages using the links in the header at the top of this page. I decided to create a graph representing the summit of each of the 16 major climbs I'll be running up in Europe. I kind of wish that I hadn't. 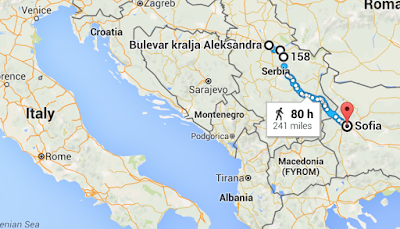 I did a lot of uphill running during the run across the USA but nothing anywhere near on the scale of Europe. 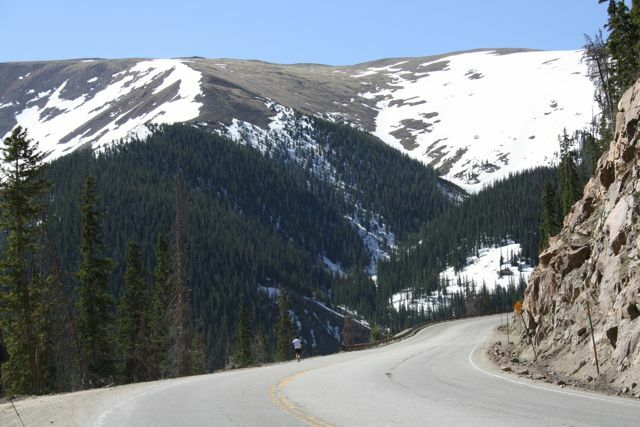 Day 44 in the USA was a run up to the summit of Berthoud pass (pictured below) at 11,000 ft. To this day, it remains one of the greatest days of running that I've ever had. People who know me are fully aware that I enjoy a mountain to run up. Give me 41 miles in the Rocky Mountains over a 41 miles on the long straight and flat roads of Australia any day. 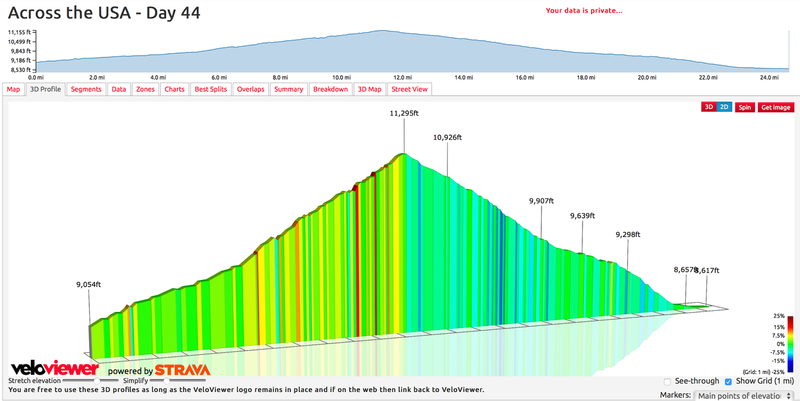 The images below were taken from my GPS data from day 44 in the USA and recently uploaded into Veloviewer and Strava. I'll be uploading similar images from each of the 16 major climbs in Europe. It should really help to illustrate just how difficult each climb is and bring the slopes to life. The charity fund for The Children's Foundation and Sir Bobby Robson Foundation received a welcome boost this week. North East based manufactures, D-Line, are now the proud sponsors of rungeordierun.com. This award winning blog will be celebrating its 10th birthday next year. During that time it has chronicled the highs and lows of my fundraising adventure around the world. It's going to be be jam packed with news of the progress made in Europe very soon so watch this space as proceedings get underway on May 1st on Guincho Beach. Thank you to D-Line for their very kind donation to the 2 charities. "D-Line is a UK company with a global reputation for innovative cable management products that satisfy popular demands where time, safety and appearance matter." For 95 days out of the 100 days it will take to run 3,400 miles across Europe there are at least 2 people on support team duty. For the remaining 5 days (day 85 - 89), Andrew Skelton (pictured below) is unaccompanied. We've already lost 1 person in this slot but had hoped that Andrew could help us through that shortfall in personnel. 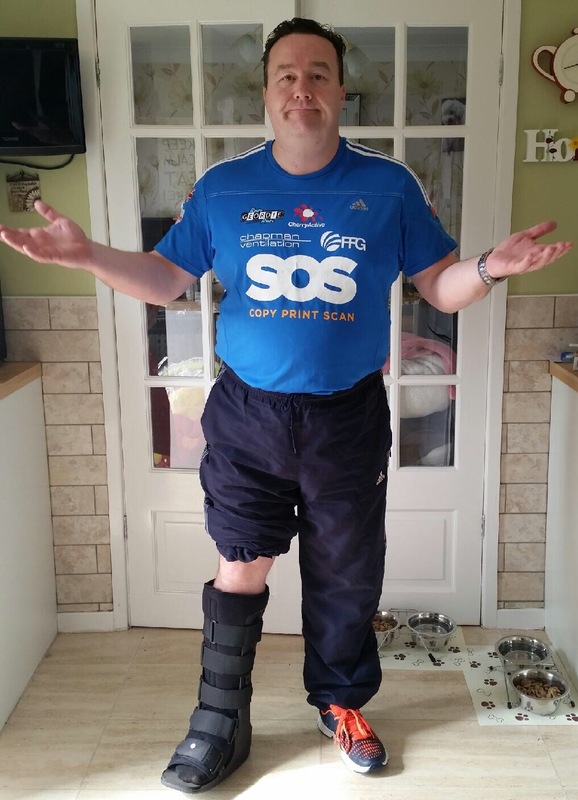 In a cruel twist of fate Andrew suffered a fracture in his right foot at the weekend. 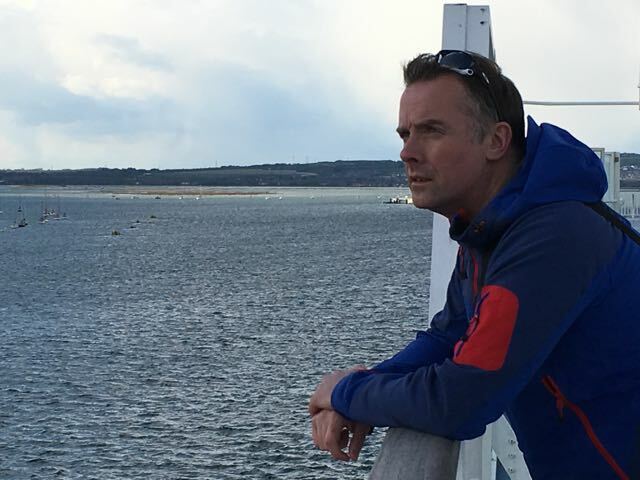 This is a huge stroke of bad luck which means that Andrew won't be "fit enough to carry out support team duties to the standard that is required and expected". We wish Andrew a speedy recovery. I know from speaking to him today, just how deeply disappointed he is and he feels that he has "let the team down". This isn't the case but I know that is little consolation to Andrew. 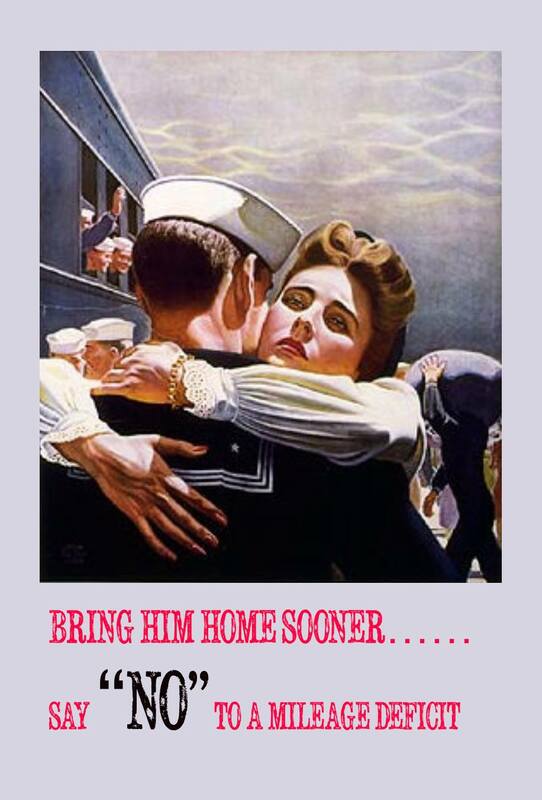 Thankfully, his very caring wife Karen will be on hand to nurse him back to health. Just when you thought she couldn't possibly run around after him any more than she currently does. But seriously, get well soon Andrew. Sunday May 8th to Monday May 16th. Vigo to Dijon. 1 person needed. 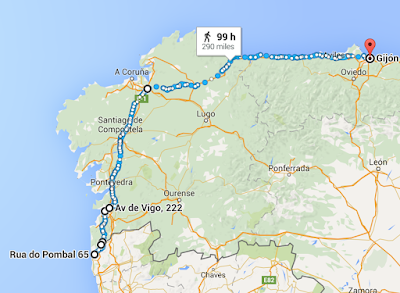 A flight into Vigo on the 8th May and out of Gijon on the 16th May would be required. Friday July 22nd to Friday July 29th. 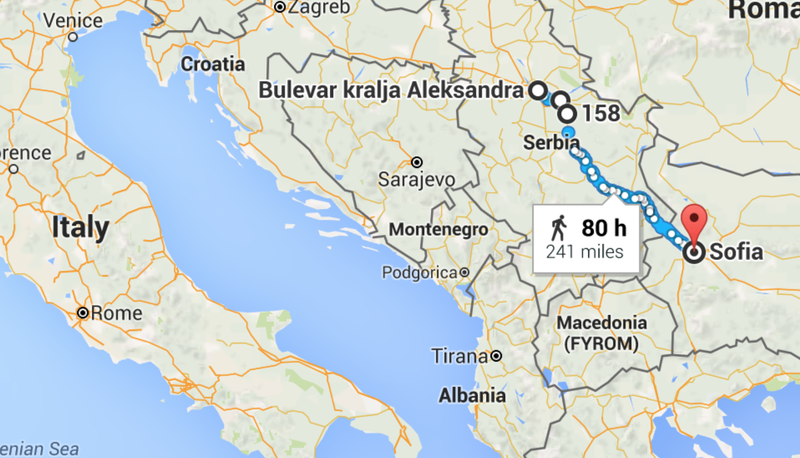 Belgrade to Sofia. 2 people needed. A flight into Belgrade on the July 22nd and out of Sofia on July 29th would be required. 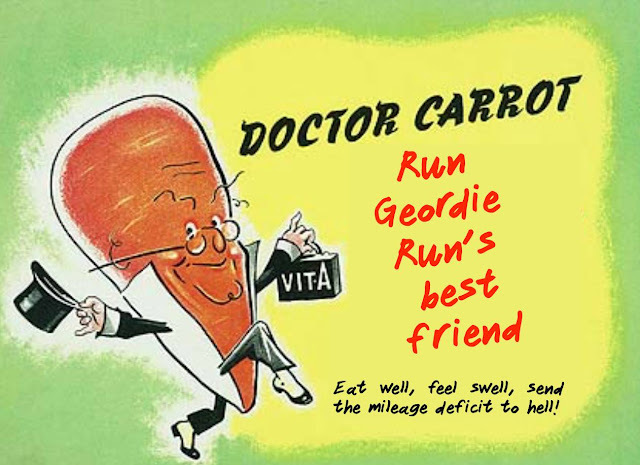 Being a member of the Run Geordie Run Support Team is one of the most difficult and rewarding jobs there is..... or so any previous member of the team often tells me. 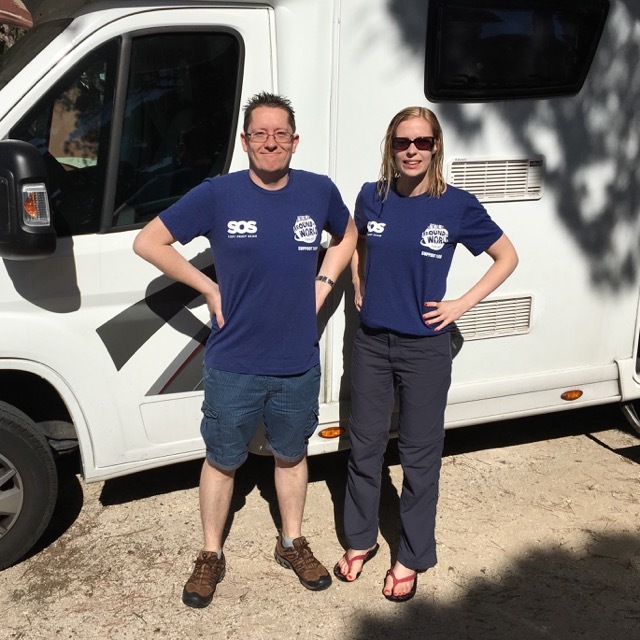 Driving a large Motor Home (the one we had in the USA is pictured below), ensuring that, as the support nerve centre, it is functioning at the optimum level at all times, is just one of many tasks that needs to be undertaken. 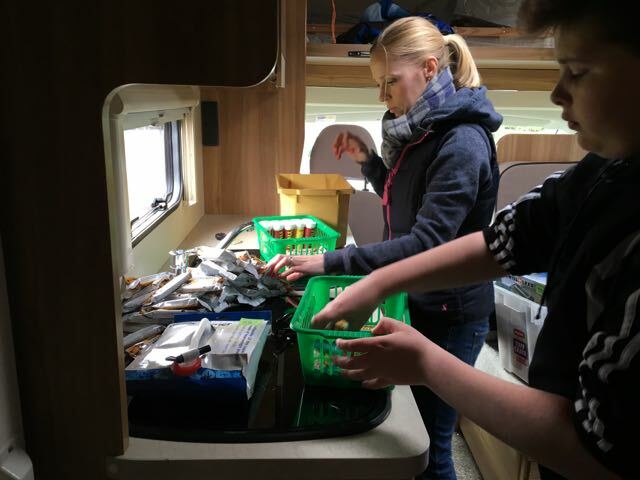 Ensuring the safety of the runner, cooking, cleaning, identifying safe overnight stops, liaising with local police (inevitably a motor home in the middle of nowhere can be seemed as suspicious! ), spreading the word about the run to passers by, not getting lost, ensuring that the route is safe depending on changing conditions and coming up with quick and effective solutions to whatever problem or hindrance occurs are just the tip of the iceberg when talking about support team duties. 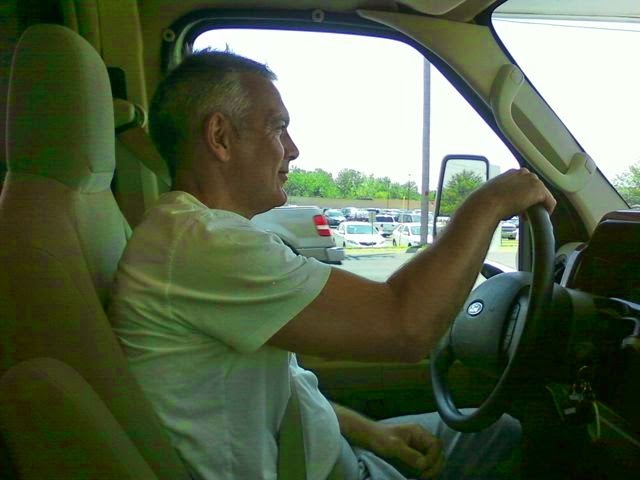 Support man Steve Harrison is pictured below driving in the USA. The support team pay for their own flights and any accommodation (if needed) at the respective airport. Accommodation is provided for you en route, obviously in the form of the RV. There are a whole host of pictures of the previous support teams on the Run Geordie Run Facebook page here. If you would like to apply to be on the team for the above slots then please email sponsorship@rungeordierun.com in the first instance. Closing date for applications is 17/04/16. I look forward to hearing from any interested people who are willing to join the current team below.